This picture was taken circa 1907. Emily Gretsch sits in the middle of the photo. Her half sister, Wilhelmina sits to her right. 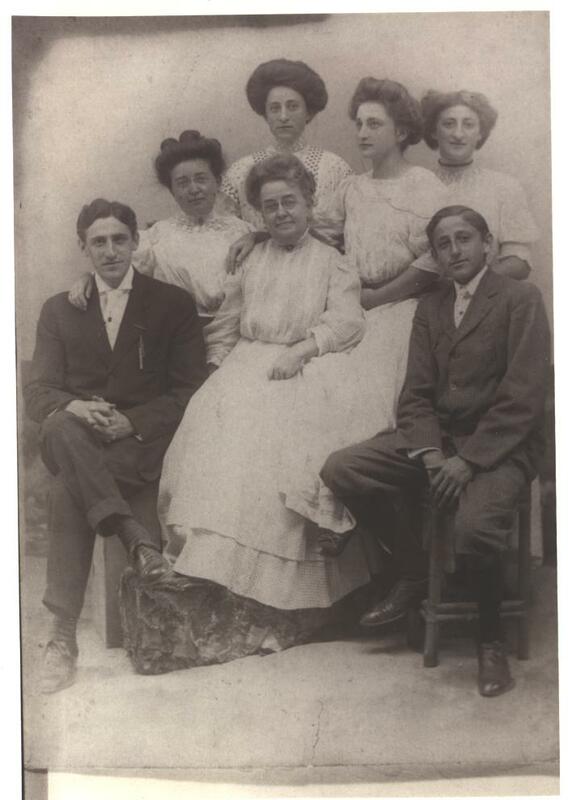 They are surrounded by 5 of the 7 children of their first cousin, Fritz Gretsch. Starting at the top and moving in clockwork order the children are Elsa, Helen, Hertha, Herbert and Louie Gretsch. The two oldest siblings, Fred and Walter are not pictured. The original picture was a postcard which was meant to be sent to Dora Gretsch, half sister to Emily and Wilhelmina. Emily, Wilhelmina and Dora was all children of Jacob Gretsch. Each girl had a different mother. The mothers of Emily and Wilhelmina were sister. All the girls were born in Brooklyn. This picture postcard was given in 1990 to Gretchen Elsner-Sommer, the granddaughter of Fred (not pictured) by Teddy Clauss, the son of Elsa. This picture was taken circa 1880. 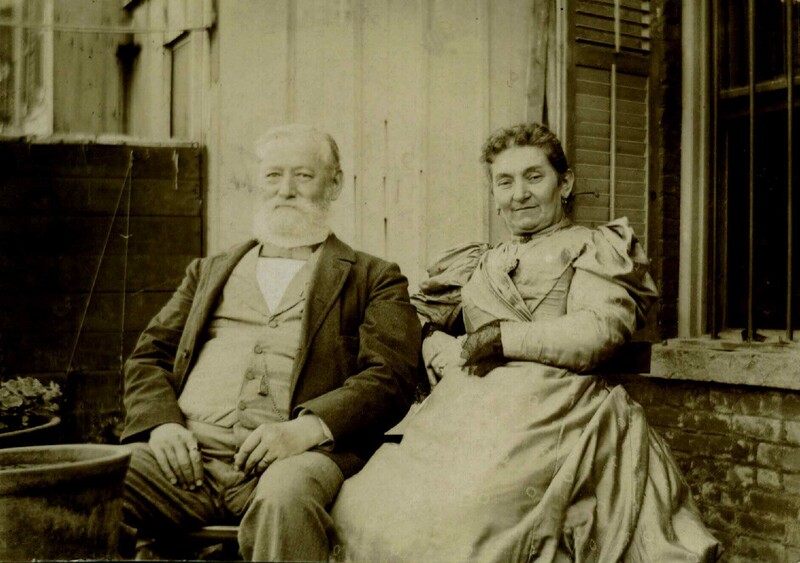 Jacob Gretsch is pictured with his third wife, Bertha Wintermantel. It was mostly likely taken at their home in Brooklyn, New York.